Ethylene Propylene Diene Monomer (EPDM) rubber roofing is a popular choice for commercial roofs across the USA. Reports show that EPDM rubber roofs make up a large percentage of commercial roof systems installed in the United States. The estimated amount of EPDM rubber roofing installed each year is 1+ billion square feet. EPDM rubber roofs are known for their durability and longevity. However, if exposed to the harsh elements, it can shrink and increase risk of a roof failure. 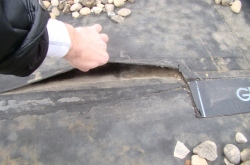 Cracking from sun exposure and other forms of weathering can cause damage to your EPDM rubber roof. When your EPDM rubber roof experiences damage, you don’t have to immediately replace it! We have an alternative solution. With years of innovation and premium products, Conklin is our preferred manufacturer and supplier of our premium roofing solutions. 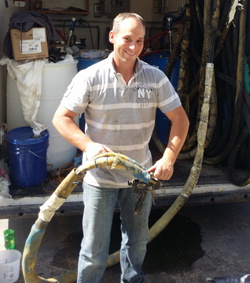 Tired of Dealing with Troublesome Repairs, but Replacement is Too Costly? 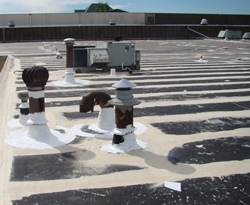 Like any concerned business owner, you may be wondering how long your new Conklin EPDM Roof Coating will last. 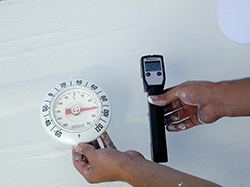 Fortunately for you, Conklin coatings have lasted for decades, and the manufacturer stands behind their systems with non-prorated warranties. 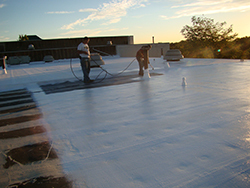 Contractors in our group can care for your rubber roof after the work is done. Why Choose a Choice Roof Contractor for the Job? Choice Roof Contractor Group is a group of professionally trained and qualified roof contractors spread throughout the nation who provide commercial roofing services. These skilled contractors are valued for their elite standards, top-notch workmanship, durable and efficient roof services, and universal strive for excellence and complete customer satisfaction. One-stop shop for all your roofing needs – no matter the repair needed, we can handle it! Conklin is our manufacturer of choice so you will be guaranteed products from a company with 35+ years of excellent performance! Factory trained contractors with roofing expertise – you’re in safe hands! Rubber Roof Coatings Can Pay for Themselves! Energy expenses are a burden. Don’t settle for expensive energy costs! Our Conklin rubber roof coatings can save you a lot of money. By behaving like an insulating layer between the building and the outside elements, a rubber roof system from Choice Roof Contractor Group can assist you in minimizing your energy expenses! This allows your rubber roof coating to pay for itself in savings over time! If your current rubber roofing system is unprotected, then you are losing money on wasteful energy costs. Don’t wait for those issues to catch up to you! Call us today and we’ll discuss how our Conklin rubber roof coatings are a good solution for a number of commercial building owners.